A small member of the clawed lobster family and easily recognised by its pink and orange banded shell, scampi live in burrows on the New Zealand seafloor, 200 to 800 metres deep. 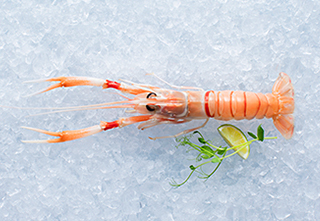 Scampi are a rare delicacy and highly sought after. Its white, meaty flesh is sweet and delicate and is lovely baked, barbequed, marinated or served raw as sashimi.